Equipped with a USB terminal on the front and another USB terminal on the rear, it's easy to connect a variety of sources. In addition to iPod� and iPhone�, you can play music files stored on a USB memory device or portable audio player. 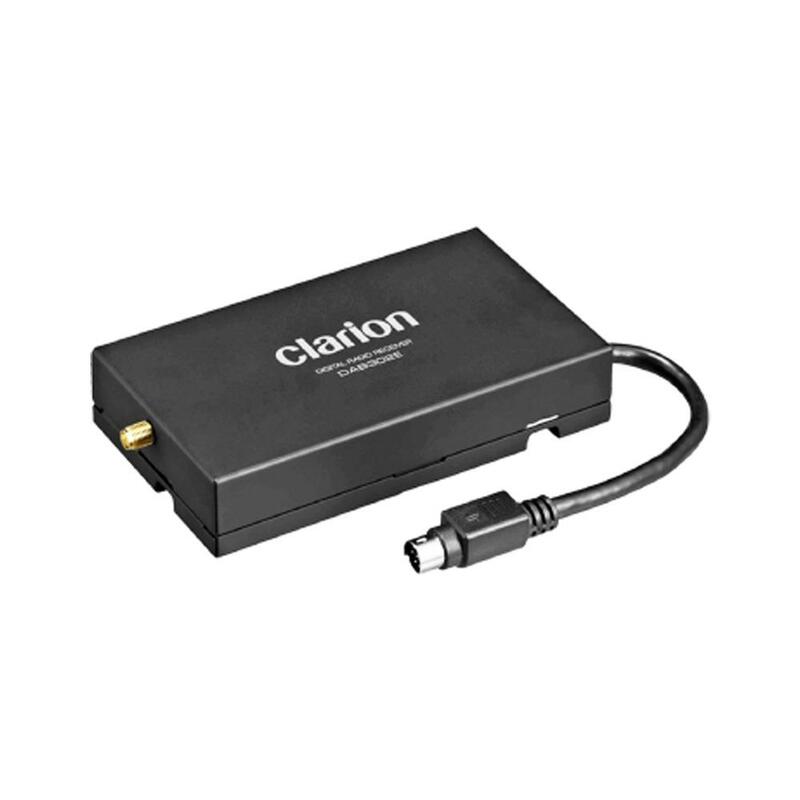 Equipped with a USB terminal on the front and another USB terminal on the rear, it's easy to connect a variety of sources. 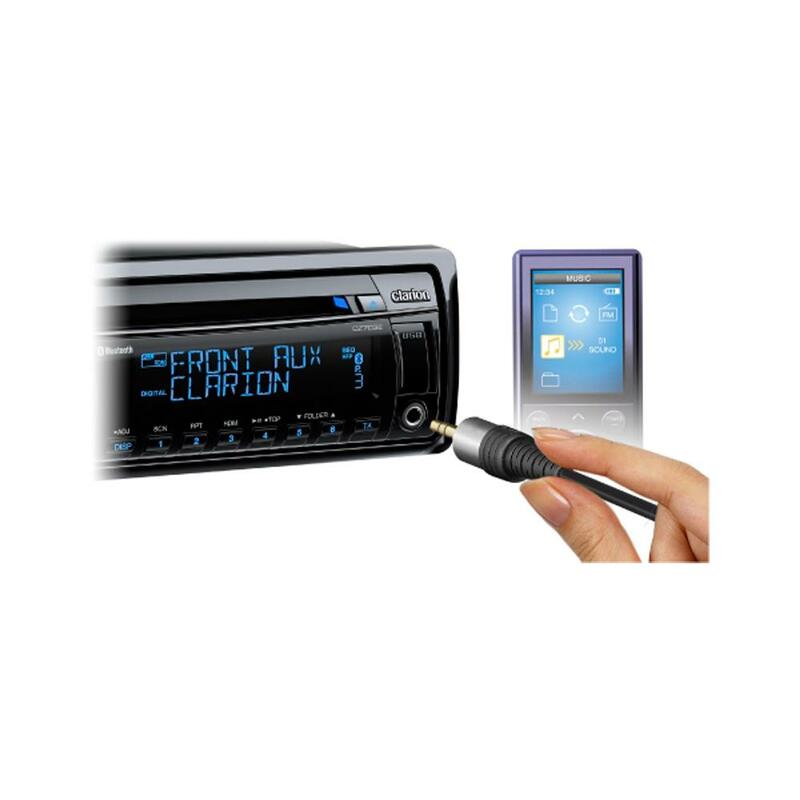 In addition to iPod® and iPhone®, you can play music files stored on a USB memory device or portable audio player. Wide compatibility with mobile phones ensures that you'll have maximum hands-free communication in your car, with the minimum of hassle. 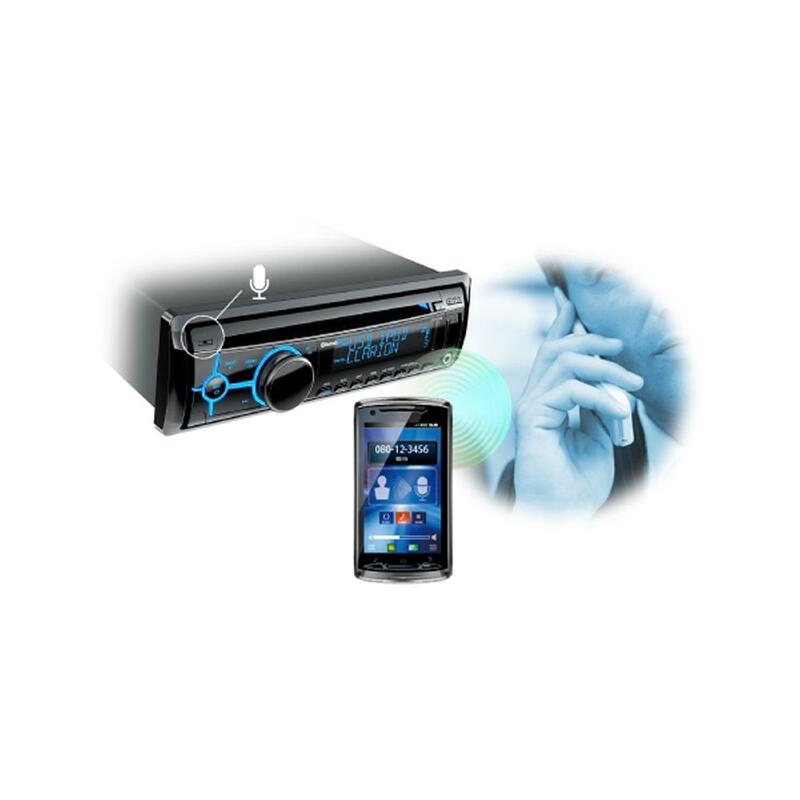 You can also enjoy playing music stored on your phone with Bluetooth audio streaming. Digital Time Alignment makes the sound from each speaker reach the listener at the same time, for perfect audio imaging. And the 3-way crossover ensures that each speaker receives an optimised signal. 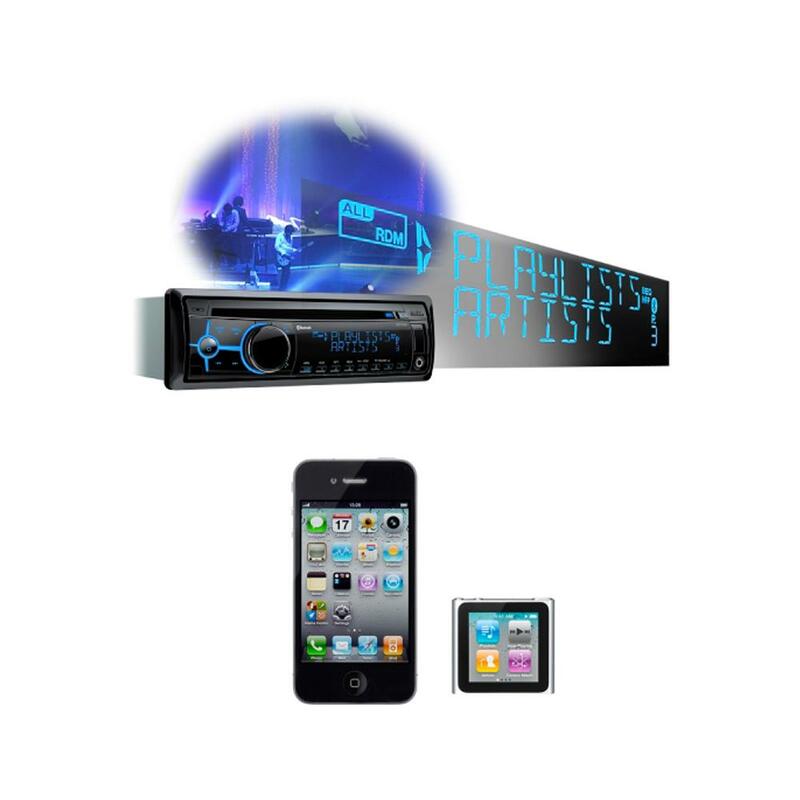 Simply by installing the optional DAB receiver module, the DAB302E, you will gain access to higher quality audio and the wide selection of programming available with DAB digital radio. Does this include the Dab converter unit, if not how much is it? The Dab module is not included. The price for the module is �150.00 and is special order part. hi. does this headunit have CD changer controls to work with the standard clarion CD changer in my Alfa Romeo GTV? 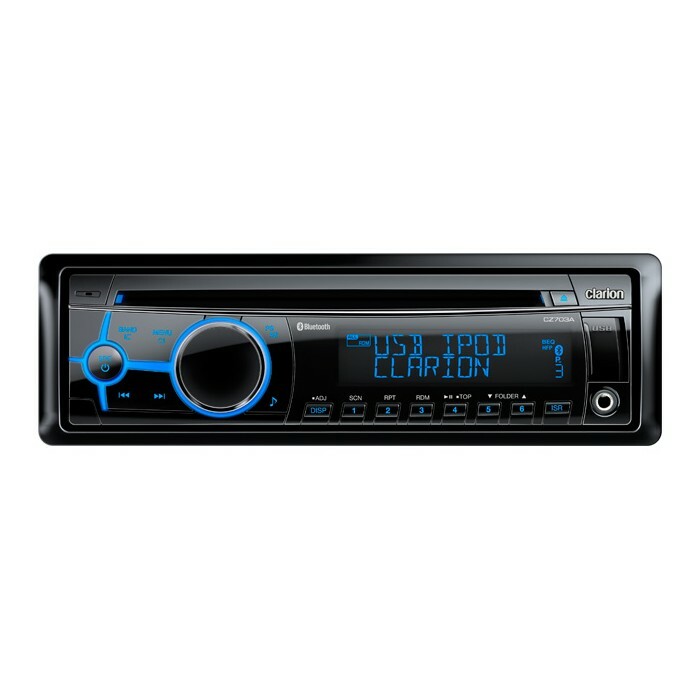 hi there, the newer units that are current model are now usually no longer compatible with cd changer unless specified. as manufactures are moving away from this and toward mass storage. if you get something with usb you can stores 100's of album/ artist or 1000's of songs easily accessible. Can you confirm that the DAB302E is included in the price of £169.99. The DAB302E is not included in the price of �169.99. You will have to purchase the DAB302E separately. This is stated in the Key Features. 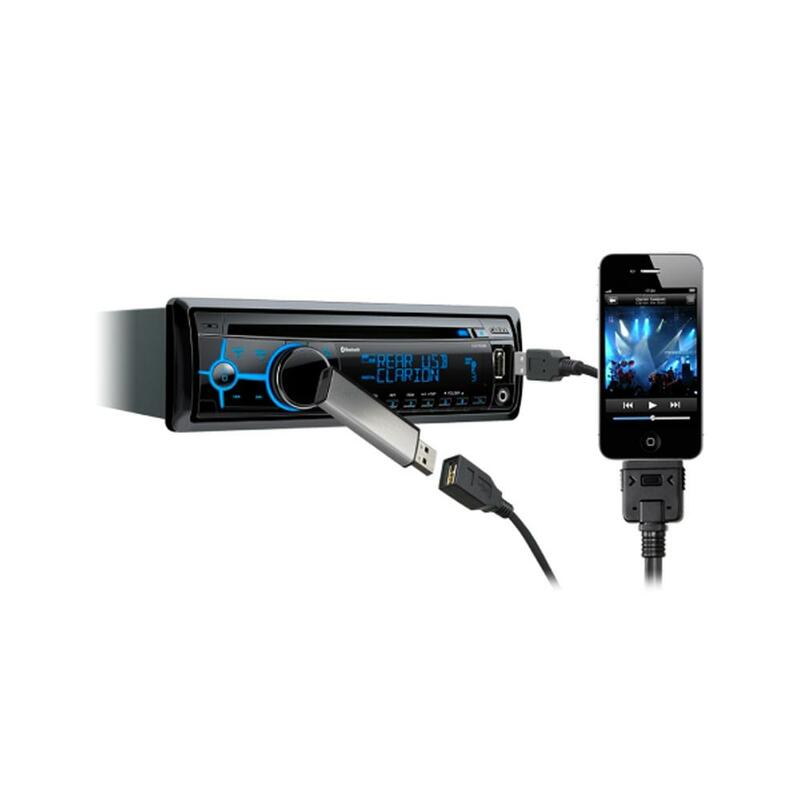 Is the DAB302E included with the radio and will this unit work with a standard aerial. I look forward to hearing from you. Hi, My car is a first gen mini r53. I am interested in this unit but I would like to keep factory look, keep the wheel buttons working and satnav audio through the unit. How much that will cost?